A combined church and hall was built in 1965-66 by W S Newman (WSRO Par 370/4/23), of timber construction on an octagonal plan, with a central flèche of metal. It cost £23,037, using the proceeds from the sale of another small church, St Edmund. 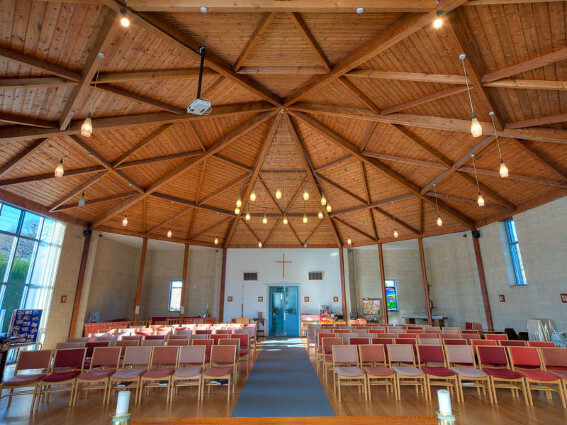 By 1997 it was in poor condition, but the parish was attached to the octagonal plan, so the main church space was retained within a new square structure under a pitched roof without the flèche; inside the roof is boarded. The walls were replaced with new ones of concrete blockwork, faced outside in a yellowish brick. 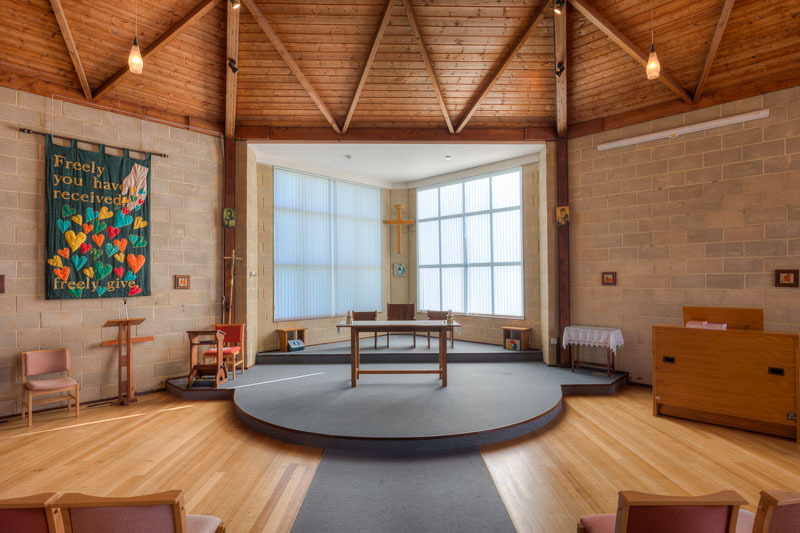 The resulting corner spaces are used as vestries, a baptistery and a small chapel, whilst the altar is placed against another of these with chairs behind. The architect of the remodelling was C Mercer (1). 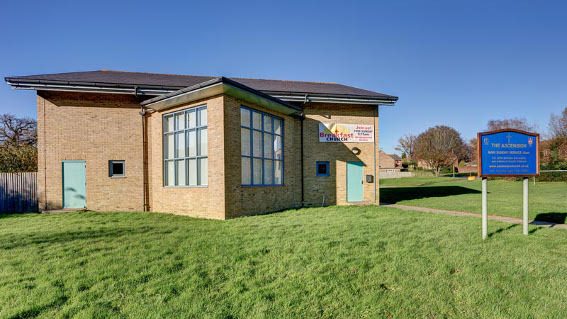 In 2008 the church became the centre of a new parish, following the redundancy of the Church of the Good Shepherd in 2003. Font: Oak, designed by P Letschka, c2000.